If you’re in the business of safeguarding data and the systems that process it, what do you call your profession? Are you in cybersecurity? Information security? Computer security, perhaps? The words we use, and the way in which the meaning we assign to them evolves, reflects the reality behind our language. If we examine the factors that influence our desire to use one security title over the other, we’ll better understand the nature of the industry and its driving forces. Until recently, I’ve had no doubts about describing my calling as an information security professional. Yet, the term cybersecurity is growing in popularity. This might be because the industry continues to embrace the lexicon used in government and military circles, where cyber reigns supreme. Moreover, this is due to the familiarity with the word cyber among non-experts. Danny Akacki was surprised to discover, after some research, that the origin of cyber goes deeper than the marketing buzzword that many industry professionals believe it to be. Paul Melson and Loren Dealy Mahler viewed cybersecurity as a subset of information security. Loren suggested that cyber focuses on technology, while Paul considered cyber as a set of practices related to interfacing with adversaries. Maggie O’Reilly mentioned Gartner’s model that, in contrast, used cybersecurity as the overarching discipline that encompasses information security and other components. Rik Ferguson also advocated for cybersecurity over information security, viewing cyber as a term that encompasses muliple components: people, systems, as well as information. In line with Danny’s initial negative reaction to the word cyber, I’ve perceived cybersecurity as a term associated with heavy-handed marketing practices. Also, like Paul, Loren, Maggie and Rik, I have a sense that cybersecurity and information security are interrelated and somehow overlap. Jessica’s point regarding laypersons relating to cyber piqued my interest and, ultimately, changed my opinion of this term. From NIST’s perspective, cybersecurity is about safeguarding electronic communications, while information security is about protecting information in all forms. This implies that, at least according to NIST, information security is a subset of cybersecurity. While this nuance might be important in some contexts, such as regulations, the distinction probably won’t remain relevant for long, because of the points Jessica Barker raised. Technology and the role it plays in our lives continues to change. Our language evolves with it. I’m convinced that the distinction between cybersecurity and information security will soon become purely academic and ultimately irrelevant even among industry insiders. If the world has embraced cyber, security professionals will end up doing so as well. While I’m unlikely to wean myself off information security right away, I’m starting to gradually transition toward cybersecurity. If you liked this post, you’ll also enjoy Random Job Title Generator and Fileless Malware – Beyond the Buzzword. 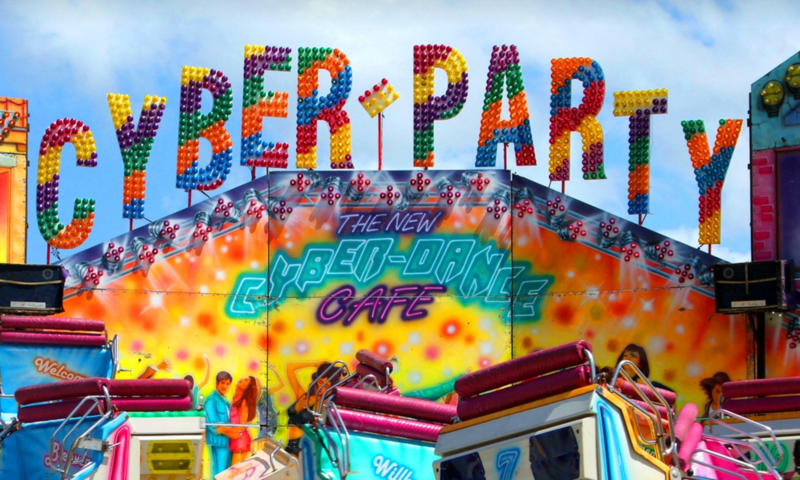 The cyber-party photo featured in this post is by Ben Ellis.